Football in Hastings... The early days. Records show that the modern game of association football has been played in the area since the 1880s. Before that time, the most popular game played over the winter months was Rugby Football, with athletic clubs such as the Hastings & St Leonards Amatuer Athletic Club and the South Saxons fielding teams as early as the 1860s. The earliest record of an association football game involving a team from Hastings occured on 12 November 1879, between Hastings & St Leonards Football Club and New College, from Eastbourne. With the Hastings club being newcomers to the association game, it is perhaps rather unsurprising that they lost 7-0 to their opponents who probably who more experience playing the game. Jump ahead two years to 1881, where we have the first recorded game of association football played in Hastings, where The Lindens School drew 3-3 against Eastbourne College at St Leonards Green. At the time The Lindens was a school located down Upper Maze Hill, so one would assume the team was made up mostly of teachers? We know that by 1882, the South Saxons club were regularly playing fixtures under association rules as well as Rugby. However the first known club formed as an association football club were Hastings & St Leonards Swifts, who were founded at a meeting held at the Clarence Hotel on 2 September 1889. Just three years later in 1892, the Hastings & St Leonards Football Association was founded. The newly formed Hastings FA swiftly organised a cup competition for the local teams named the Carlisle Cup. This competition was played in a league format, with the South Saxons becoming the first winners, the positions were - South Saxons, Hastings Athletic, Alliance, Highbury House, St Clements, Christ Church. The Carlisle Cup would go onto become one of the most popular and prestigious competitions in the area and last until the 1920s. 22 August 1893 saw the formation of Rock-a-Nore FC. The club was founded at a meeting held in the London Trader as an Old Town team, with the majority of members being fishermen and boatmen. The club would eventually go onto become one of the strongest in the area and were founder members of the Sussex County League in 1920, before changing name to Hastings & St Leonards in 1921, Hastings Town in 1979 and Hastings United in 2002. The current day Rock-a-Nore took on the identity of the original club in 1921, following a name change from Old Town Athletic. 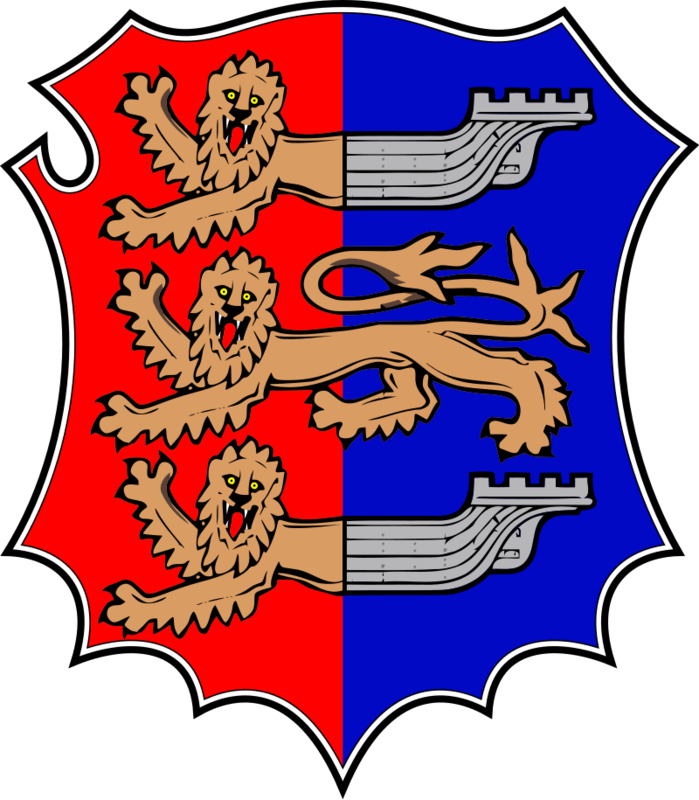 In May 1896, the East Sussex League was founded as the East Sussex Senior League, with Hastings Athletic, now known as Hastings & St Leonards Football Club (often shortend to Hastings FC) accepting the invitation to join. Hastings won the league in it's first season and would have played against - Brighton Athletic, Burgess Hill, Eastbourne Swifts, East Grinstead, Hailsham, Lewes and North End Rangers (Brighton). By 1904 the two strongest sides in area were Hastings & St Leonards FC and St Leonards FC, Hastings had just entered the South Eastern League, a very strong league originally formed for the reserve teams of professional clubs in and around London. Opponents included reserve teams from Tottenham Hotspur, Woolwich Arsenal and Brighton & Hove Albion. The year also saw the opening of the newly laid out ground on the Brisco Estate called the Sports Ground, built with football and hockey in mind, the first tenants were St Leonards and Rock-a-Nore and replace the old Central Recreation Ground as the primary football venue in town. 1905 saw St Leonards enter Division Two of the Southern League in a bid to keep up with their rivals Hastings, changing their name to St Leonards United at the same time. Many followers of the game in the town were skeptical of the move, questioning if having two professional teams in a town the size of Hastings was sustainable and were proved right when the two clubs merged in 1906, both struggling financially and with unsatisfactory crowds. 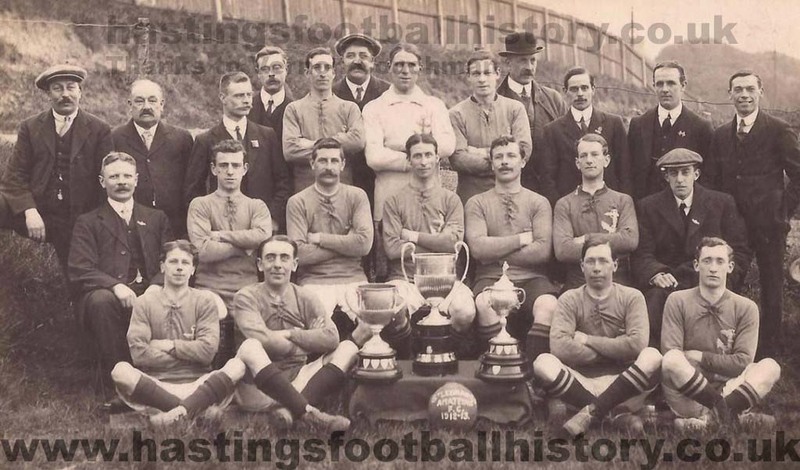 The newly club, Hastings & St Leonards United continued to spend money in a bid to win promotion to the First Division of the Southern League and won Division 2B in the 1909-10 season, losing out to Stoke 6-1 in a play-off game. Following the disapointment of missing out again on promotion, it was decided the club could not carry on running due to excessive money loss each season and folded. By 1913, the strongest side in the area were St Leonards Amateur, who'd just won the East Sussex League two seasons in a row. 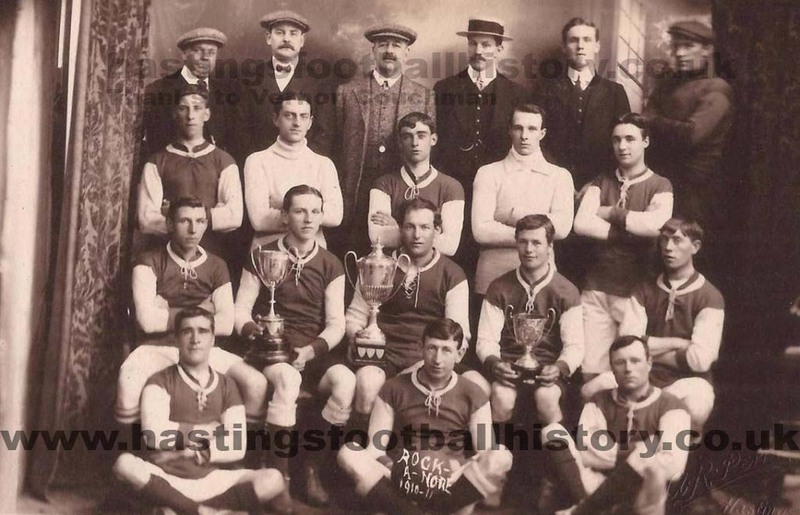 For the 1913-14 season, they changed their name to Hastings & St Leonards Amateur and joined the Athenian League, which acted as a feeder to the Isthmian League. However, 1914 saw the start of the First World War and therefore football competitions around the country were abandoned, including in Hastings. This conflict was to be the death of the Amateurs, who never reformed following the war. Another footballing loss around this time was the Sports Ground, home to the most senior local football clubs since 1904, which was lost to the development of White Rock Gardens. The bowling greens and Clambers now stand on the site of the pitch. The loss of the pitch didn't help with lack of public pitches for teams to use, with a large number having to rely on landowners renting or donating fields for them to use. In 1920 Hastings Borough Council took over the land at the Pilot Field as a way to tackle the lack of decent football facilities in the town, with Rock-a-Nore becoming the first tenants in their first season in the the Sussex County League. The site had previously been marked as a potential site for a new workhouse, replacing the one in Frederick Road, which was strongly objected to by residents neighbouring the site. The Pilot Field was initially a sloping field, before being laid out into a upper and lower pitch, with the main stand being opened in 1923. The outbreak of World War Two understandably halted football in the area during this time, with leagues in the area running on a reduced format for the 1939-40 season, before stopping all together for the rest of the duration of the war. The end of the conflict saw a return of local football, with Hastings & St Leonards returning to play in the Southern Amatuer League, as they had done throughout the 1930s, before joining the Corinthian League for the 1947-48 season.